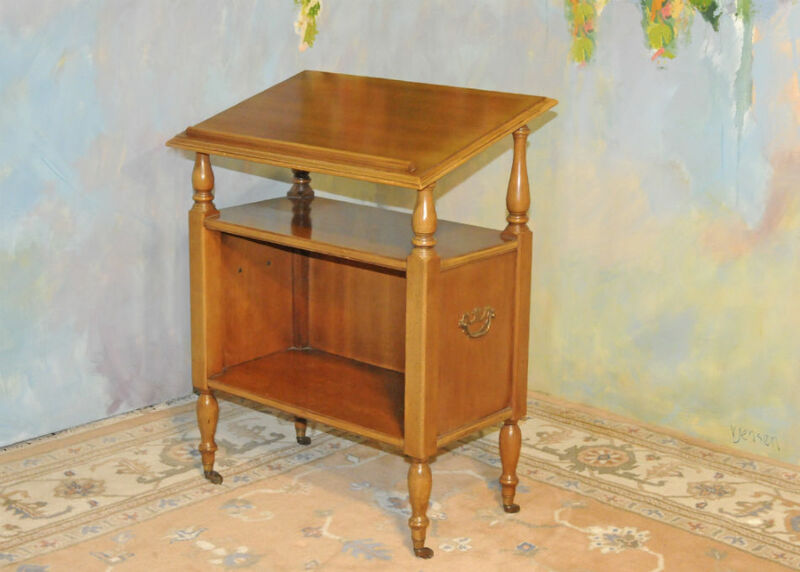 Vintage Booktable. An antique reproduction with solid brass casters and side handles. Finished on all sides.